Sheep and beef farms sold in low numbers during autumn, although prices remain static. A similar situation prevailed this time last year. With returns generally positive, particularly for beef, farmers are not inclined to sell and listings are light. Several less well-located properties that had been on the market for an extended period did finally change hands recently, leaving few remaining listings. New legislation on clean rivers, particularly relating to steep contour land used to graze cattle, adds a level of complication for many property transactions. Consequently, the sales process for farms in this category has extended and is taking longer to complete. However, in most regions, demand for sheep and beef property remains unsatisfied. Any new listings that come forth leading up to or during spring can therefore anticipate an enthusiastic reception from the market. Nearly twice as many North Island dairy properties sold in the first four months of 2017 as in the same period of last year. With confidence returning to the sector and the payout forecast stable, vendors have been happy to accept that prices will not rise significantly any time soon. Demand at the market’s upper end means values are gradually rising and properties are selling readily. Prices of around $70,000 per hectare are the current norm for these farms. One 107 hectare Clevedon dairy farm sold in May at $11.1 million (or over $110,000 per hectare). Overall, however, average sale prices are unchanged from last year, with less favourably located properties receiving little attention. Sales activity is likely to be minimal throughout winter, although spring should breathe new life into the market, as it customarily does most years. Canterbury dairy farms sold between $52,000 and $57,000 per hectare during autumn, as the gradual recovery of the sector’s prospects, accompanied by a profit-yielding payout, became more entrenched. Properties on surface-water-based community irrigation schemes are gaining more attention than those irrigating from groundwater, as environmental issues and the added reliability of scheme water is establishing a premium for those farms. Twice as many Southland dairy farm sales were transacted in the 2017 autumn as in the previous year, with values also gradually rising. 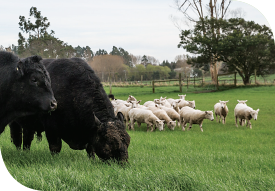 One large Mossburn property changed hands, bringing a significant corporate farming business to Southland for the first time. Uncertainty around the regional council’s land and water plans is still a factor affecting dairy property sales in both Canterbury and Southland. That issue aside, the spring market for South Island dairy property is likely to be busy. Although the challenging 2017 vintage will have a short-term impact on the local economy in viticulture regions, all signs indicate continued strength in the sector’s property market. Most growers have a long-term view and can ride out a poor season. Ongoing growth remains positive, as cash buyers from outside Marlborough enquire after developed vineyards and bare land suitable for grapes. Larger companies continue to position themselves for further development, for which land is in great demand. Benchmark prices sit at $250,000 per canopy hectare in premium areas. Tanks amounting to 20 per cent of Marlborough’s total storage capacity were reported damaged in November’s earthquake, however these are believed to have been restored in time for the harvest. While some Hawkes’ Bay vineyards did sell to horticulturists for conversion to pipfruit last year, no such sales occurred throughout autumn. Prices for kiwifruit orchards growing the G3 gold variety continue to rise. A 10.63 canopy hectare orchard, at relatively high altitude, sold for $734,000 per canopy hectare in late April, a $5 million profit on the previous time this orchard changed hands, which was in late 2014. A few days later, a 5.83 canopy hectare orchard sold for $850,000 per canopy hectare, the first time that benchmark has been reached. Two large green kiwifruit orchards also sold in recent months, one for $450,000 per canopy hectare and the other for $410,000 per canopy hectare. Of over 900 recent applications for Zespri licences to grow gold kiwifruit, 260 were granted. Two adverse weather events hitting the Bay of Plenty in mid-autumn could have a significant impact on the harvest, though this will not be fully realised until all this season’s crop is picked. Few Hawke’s Bay pipfruit or stonefruit orchards sold in autumn, when sales during the picking season are unusual anyway. When properties did come to the market, a shortage of listings created strong prices in the sector. In the latter category were the sale of a 6.5 hectare Havelock North apple orchard for $1.65 million in March; a $1.35 million sale of a 10 hectare Haumoana orchard in April; and the $1.76 million sale of a 12 hectare property in the same district shortly after. Existing growers and passive investors who already own orchards were the purchasers. Several pipfruit listings were offered for sale late in the autumn, attracting positive interest. Demand for smaller properties is also strong, with these orchards providing the combination of a lifestyle component alongside passive investment. They are generally selling to cash buyers. Cropping farmers have not had an ideal season, with inclement weather affecting the harvest, impacting severely in some cases. Mid Canterbury arable properties, in New Zealand’s premier cropping country, only rarely come to the market and typically only change hands within a limited group of existing owners. Those farms sitting below the 160 metre contour line, with soils suited to onions, carrots, potatoes and red clover, and capable of growing two crops per annum, are most coveted, attracting a premium. This season, four of these properties, ranging from 227 hectares to more than 450 hectares, changed hands, valued between $47,000 and $50,000 per hectare, holding firm or appreciating slightly on recent benchmark values. With the introduction of restraints on spraying milling wheat that is grown on free-draining soils, some farms are set to become more challenging to sell. Demand for export quality and domestic timber is high. For South Otago land with forests planted since 1990, therefore ready for harvest within the next five years, transactions of approximately $25,000 per hectare, including land and trees, are taking place. Purchasers anticipate netting around $30,000 per hectare once they have harvested the timber. Undeveloped tree country is selling for between $3,000 and $4,000 per hectare. This is not easy to come by although, as technology and equipment for clearing forestry land has improved, previously undesirable blocks have attracted greater interest, creating new options for owners of land that otherwise had minimal value. Demand for forestry land, from undeveloped to harvest-ready and all stages in-between, exceeds supply. With the domestic building boom unlikely to end and Asian countries still eager for New Zealand logs, that situation will probably prevail.